VMware has finally stopped apologizing for existing and also acknowledged that cloud is something customers want to use. Yesterday we launched the VMware Cloud on AWS service. VMware Cloud on AWS allows you to run your applications across private, public, and hybrid cloud environments based on VMware vSphere, with optimized access to AWS services. 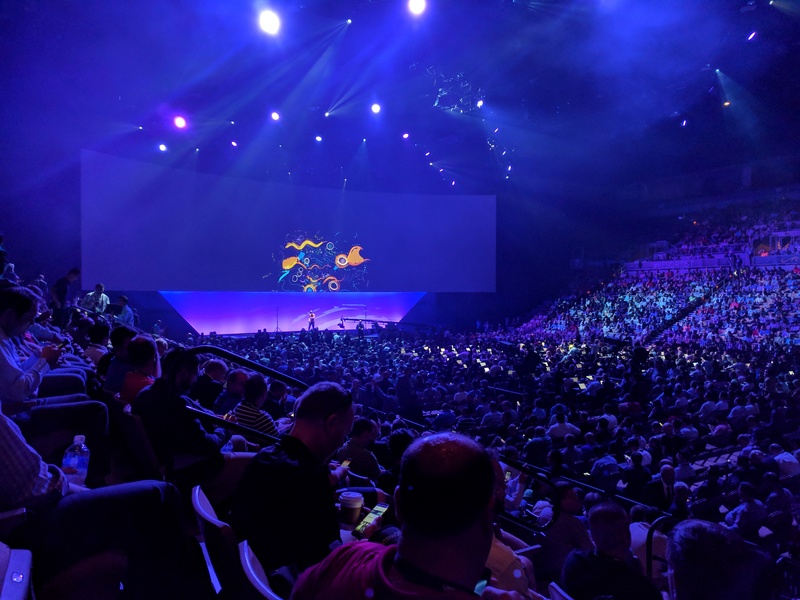 The Cloud SDDC consists of vSphere, NSX and vSAN technology to provide you a familiar environment which can be […] The post VMware Cloud on AWS Technical Overview appeared first on frankdenneman.nl . VMware AppDefense is a new security solution that allows organizations to create least privilege environments around their applications running in virtualized or cloud systems, a key feature according to VMware’s senior vice president for security products, Tom Corn. Watch VMware’s Tom Corn illustrate how VMware AppDefense significantly enhances application security when working across clouds in this light board presentation. VMware Unveils New Security Model VMware AppDefense ( Link Here ) . vmware also had several partners join them on stage to discuss how they use vmware’s portfolio of platforms, including the Red Cross. The Red Cross discussed efforts underway in Texas to help those affected by the storm. Finishing out the presentation, vmware hinted at more exciting announcements tomorrow when Michael Dell joins the stage. VMware plans to deprecate the Flash-based vSphere Web Client with the next numbered release (not update release) of vSphere. The next version of vSphere will be the terminal release for which vSphere Web Client will be available. The vSphere GUIs, including the vSphere Web Client and HTML5-based vSphere Client, are tools that are used every day The post Goodbye, vSphere Web Client! appeared first on VMware vSphere Blog . It’s that time of year again, time for VMworld in Las Vegas. I will make every attempt at updating my blog throughout the week. See you there! If you have a support contract with VMware, I HIGHLY RECOMMEND opening a support request with VMware, and detail with GSS your upgrade plans, along with the date of the upgrade. This allows VMware to have a resource available in case the upgrade goes sideways. Click the ‘continue button’, the install bundle will be uploaded and installed. Verify the upgrade version, and click the upgrade button. The upgrade process will automatically reboot the NSX manager vm in the background. Having the console up will show this. Don’t trust the ‘uptime’ displayed in the vCenter for the VM. Once the reboot has completed the GUI will come up quick but it will take a while for the NSX management services to change to the running state. Give the appliance 10 minutes or so to come back up, and take the time now to verify the NSX version. If using guest introspection, you should wait until the red flags/alerts clear on the hosts before proceeding. In the vSphere web client, make sure you see ‘Networking & Security’ on the left side. If it does not show up, you may need to ssh into the vCenter appliance and restart the web service. Otherwise continue to step 12. 12. In the vsphere web client, go to Networking and Security -> Installation and select the Management Tab. You have the option to select your controllers and download a controller snapshot. Otherwise click the “Upgrade Available” link. 13. Click ‘Yes’ to upgrade the controllers. Sit back and relax. This part can take up to 30 minutes. You can click the page refresh in order to monitor progress of the upgrades on each controller. 15. On the ESXi hosts/blades in each chassis, I would run this command just as a sanity check to spot any NSX controller connection issues. If controllers are not in a healthy state, you may get something similar to this next image in your output. If this is the case, you can first try to reboot the controller. If that doesn’t work try a reboot. If that doesn’t work…..weep in silence. Then call VMware using the SR I strongly suggested creating before the upgrade, and GSS or your TAM can get you squared away. 16. Now in the vSphere web client, if you go back to Network & Security -> Installation -> Host Preparation, you will see that there in an upgrade available for the clusters. Depending on the size of your environment, you may choose to do the upgrade now or at a later time outside of the planned outage. Either way you would click on the target cluster ‘Upgrade Available’ link and select yes. Reboot one host at a time that way the vibs are installed in a controlled fashion. If you simply click resolve, the host will attempt to go into maintenance mode and reboot.